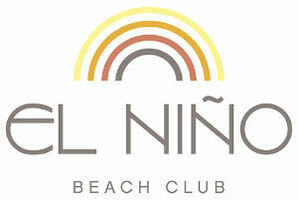 Home - De website van elninobeachclubcom! As an atmospheric beach pavilion with a Latin touch El Niño is yet again the place to be for many people every season on the seafront in Scheveningen. With a unique offering and driven by passion El Niño represents ultimate hospitality. Because let's be honest, both by our fireplace, on the outdoor terrace and also on our new veranda, you will always feel like you are in a southern atmosphere. Our cuisine is international and our skilled chefs mix delicious tapas with Mediterranean dishes, fresh crunchy salads, club sandwiches and a touch of Dutch cuisine. Additionally, we also serve a selection of fine wines, tropical cocktails and juicy smoothies. Our team can also turn their hands to a party. Whether it involves organising drinks, corporate or wedding parties including catering, music events, a variety of workshops and challenging sports on the beach; we love to do it all. We always think in terms of possibilities and like to deliver customization. The only thing left for you is to enjoy!